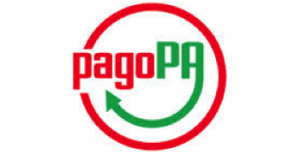 PagoPA is an initiative that allows citizens and enterprises to electronically pay the Public Administration. PagoPA is an ecosystem of rules, standards and tools defined by the Agency for Digital Italy and accepted by the public administration, banks, post offices and other payment institutions (payment service providers – PSP) participating in the initiative. simplification and digitalisation of services. PagoPA was created by AgID in implementation of the art. 5 of the Digital Administration Code and the D.L. 179/2012. AgID has prepared the Guidelines defining the rules and procedures for making electronic payments and has also implemented the technological infrastructure Node of Payments-SPC, which ensures interoperability between the actors involved in the system. Click here to use the service (only available in Italian). In case it is necessary to recover or reprint the payment receipt of a tribute paid through the PagoPA system, the citizen can contact the CNIT Central Administration, by mail addressed to carlotta.monica[AT]cnit.it, and request the receipt in pdf format.